Flower Child Mystery MCN Box – I’m planning to use cloth diapers and I thought this would be a good way to try different brands and really figure out what is going to work for us. I’m expecting my first box in November 2017. Love with Food – I’ve been wanting to try this subscription for a while and I’ve just subbed for three months. My first box is due at the end of December. Sanrio Crate – Hello Kitty fans rejoice, a quarterly box filled with Sanrio goodies. Hooray! Read all my Sanrio Crate reviews. Get $5 off your first box by using this link. The next box ships in December 2017. 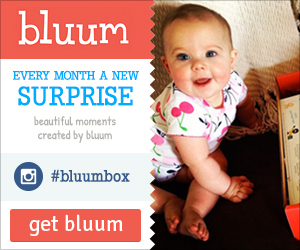 Bluum – discover a monthly box of new goodies for mom and munchkin (from pregnancy to pre-school). Ecocentric Mom – a monthly delivery club for moms who want to discover and save on the very best non-toxic, organic, natural and unique products for themselves, their babies and their homes. Flower Child Mystery MCN Box – Each month you will receive one modern cloth nappy and accessories worth more than you would have paid for. Oui Fresh Beauty Box – A natural beauty products beauty box from the girls behind A beautiful mess. Paper Pumpkin – the creators of Stampin Up send you a paper crafting kit each month. The Vegan Box – Australian subscription box that ships internationally. 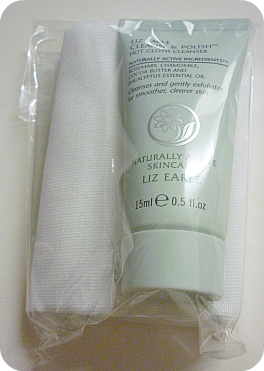 Elizabeth and Clarke – quarterly US subscription that ships internationally. Fabletics – Kate Hudson co-founded fashion fitness subscription. Golden Tote – US subscription that ships internationally. Wantable Fitness Edit – Designer fitness and athleisure apparel handpicked by your personal stylist. Discover the perfect wardrobe for your on-the-go lifestyle. Vegan Cuts Snack Box – US subscription that ships internationally. Rocksbox – Rocksbox is a jewelry membership service that exists to make your life easier and more stylish. For only $21/month, treat yourself by trying 3 pieces of jewelry at a time with free shipping both ways! Sanrio Crate – Hello Kitty fans rejoice, a quarterly box filled with Sanrio goodies. Hooray!Read all my Sanrio Crate reviews. Get $5 off your first box by using this link. The next box ships in December 2017. Birchbox Man – read my review for October 2013. Me Undies – get a set of cool boxers every month. Loot Pets – geeky puppy gear for your furry friend. Get $5 off your first box by using this link. Love with Food – get a box of healthy snacks every month. Use this link to get 40% off your first month. Happy Mail by Oui Fresh – this box is on break until 2018, you can join the waitlist here. Boohoo! Sometimes our favourite subscription boxes have to close their doors – visit the closed subscription boxes list to make sure your favourite is still in business. Don’t live in the US? Check out the Australian or UK Joy in the Post websites to find subscription boxes that ship to your country. Don’t live in the US but to try a USA subscription box that doesn’t ship to your country? You can try a shipping company such as shipito. Shipito is my favourite one that I use. The March 2015 Birchbox theme was creativity. I thought this was a very Australian bush smelling body creme. It’s not Australian though, it’s made in the US. I quite enjoyed this body moisturiser. Because I have thick her that loves to get knots in it and be frizzy pretty much all the time. When I see these kinds of products in my Birchbox I get super excited. This product made me happy, it smells quite nice and did make my hair feel a bit nicer. My last experience with this brand hadn’t gone done too well, I had a chubby lip pencil that just seemed to smudge everywhere. It wasn’t very pleasant. This however brightened my day. I found it best as a highlighter under my brow bones. It really did brighten up my eyes and it’s been added into my daily make-up routine. Note though, that a little goes a long way! What a nice way to cleanse my face I felt like I’d been to the day spa. First massaging it in and then removing it with a hot cloth. So simple and yet relaxing. This cleanser Rosemary and Eucalyptus as well. I’m not sure if this is a new beauty trend? It’s the second product in the box to include these ingredients. I use Shipito to ship the box from the US to Australia. This months shipping cost was $6.33 using airmail economy. Birchbox is one of my favourite subscription boxes. This month was great because I discovered a totally cool face mask that I’ll use to look fabulous at my wedding as well as a new cleanser, hair spray-in treatment, moisturiser and a brow higlighter. These are all products that have brightened my week and were in line with the kinds of products that I need and use on a daily basis. My box value was really high at nearly $50US. Want to read more Birchbox reviews? Visit my Birchbox reviews archive. Birchbox 12 month subscription should I do it? YES! Before we went on our Europe holiday my 12 month Birchbox subscription ran out. I let it go as we’d be away but now that I am back, I definitely needed to resubscribe. Birchbox is one of my favourite boxes. It is reasonably priced at only $10US a month, beautifully packaged and I find it a great way to discover and try new beauty products. If you spend over $35 on full sized products you can also add a free Mystery Sample Pack to your order. If you haven’t spent over $35 on full sized products you can still add a Mystery Sample Pack but it costs you $10. The Mystery Sample Pack includes one deluxe and one regular sized sample. Because my order was over $35 I was all good to get it for free. Hooray! I also repurchased the Tocca Crema de Mano Hand Cream in Cleopatra, I got a sample in my November 2013 Birchbox and really loved it! I am super excited to see what is in my first box and my Mystery Sample Pack. 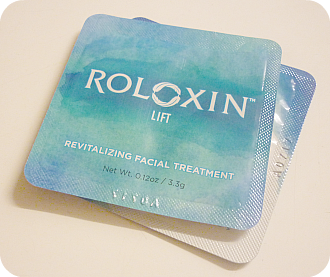 I’ll post a review once I have had a chance to play with the products. The Birchbox theme for September 2013 was Heritage and it was also Birchbox’s third year anniversary. Happy Belated Birthday Birchbox!! This month included a cute card that I am going to pin near my desk for inspiration. Oh this smells delicious. It makes for a nice hair washing experience. My hair was quite nice and bouncy afterwards. Birchbox says – “Love Protect & Detangle? Use this nourishing conditioner with shea butter before spritzing. Work through mid-lengths and ends of hair, then rinse.”Like the Shampoo this smells delicious and my hair is quite nice afterwards. Birchbox says – “This sheer gloss from the Perfect Red Collection hydrates with shea butter and vitamin E. Apply to bare lips or layer on top of lipstick to create your perfect red.”Such a cute mini lip gloss sample! It makes me smile every time I use it. This lip gloss has got me a few compliments and who doesn’t love a compliment? Birchbox says – “Next-generation SPF35 CC cream that triple protects against UVA, UVB and infrared-A rays. 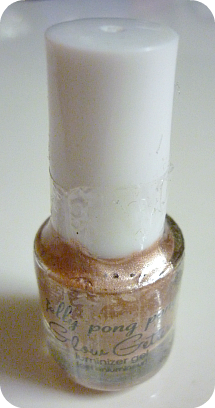 Apply a nickel-sized amount over face and neck – it works as both a primer and foundation.”OMG! I totally love this. It blends in perfectly to my skin and looks really natural. I will probably be buying this once I run out. Which makes it $11 per box over the 12 months plus shipping. This months shipping cost was $7.48 US. How long did it take to get to Australia? This time I used Airmail Economy and it took four weeks to get to Australia. I have really enjoyed all the products in the September 2013 Birchbox! The total box vale was $25.50 which was more than I paid for it. So I got value for money and I received some great products – I love the lip gloss, the shampoo and conditioner smell delicious, the CC Cream is amazing and the nail polish is fun too! Read more Birchbox reviews or join Birchbox to get your own box. I’d love to hear what you get!